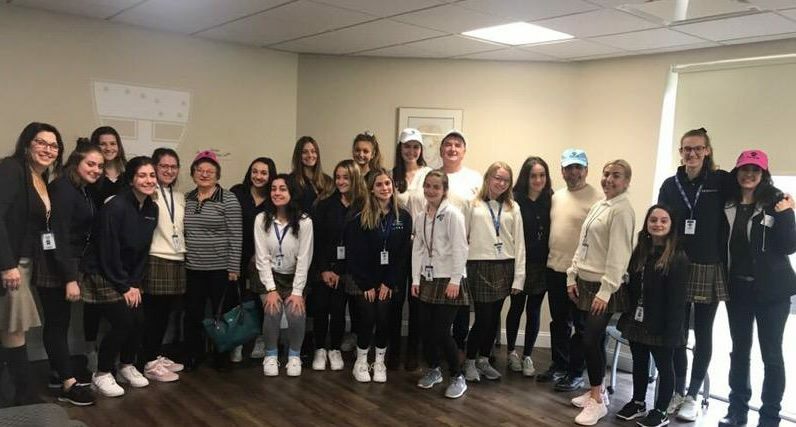 Mrs. LaGumina's Italian 3 classes learned a great deal by interviewing immigrants about the experience of building a new life in America. Students interviewed either their own family members, or friends or neighbors. They recorded their interviews and added subtitles in Italian or translated the interviews into Italian. 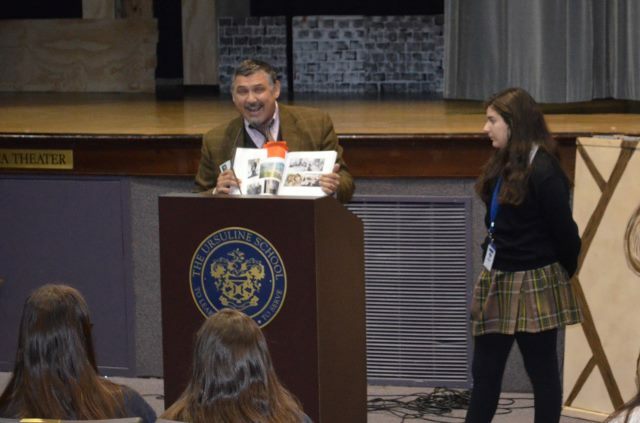 Students gained insight into the hopes and dreams of immigrants, the hardships endured, and the determination needed to succeed in a new country. This Immigration and Refugees project shed more light on our year-long school topic of Global Displacement. 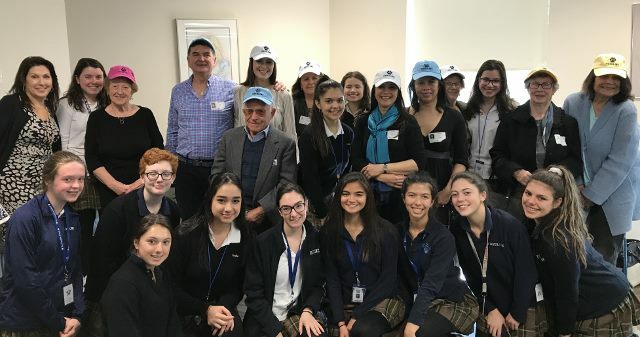 Students then welcomed their interviewees to a Celebration of Culture at which students presented their insights and welcomed their guests with foods from their respective countries. 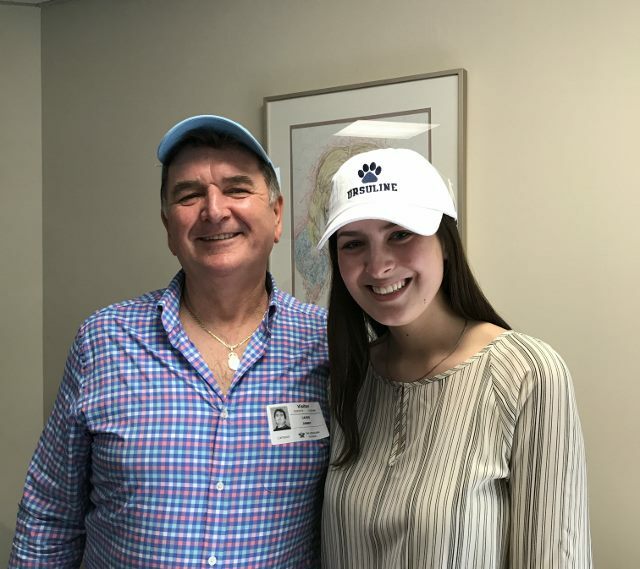 Mr. Lajos Janny, father of Ursuline alumna Erika '17, spoke of his escape from Hungary during the last years of the Communist regime. Others described their journeys from Romania, Italy, Columbia, the Philippines and Jamaica. 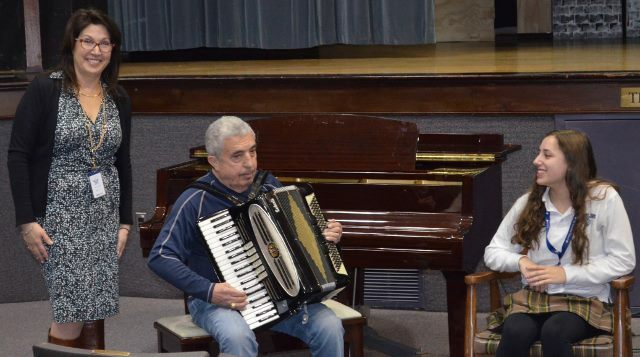 Mr. Mascioli delighted all by playing several songs on the accordion. Our students appreciated that one reason they learn foreign languages is because other people have come before them and they value the cultures they belong to or learn about.